Martin Hofton, long-time resident of Hudson and amateur historian, who has spoken at previous events (e.g. 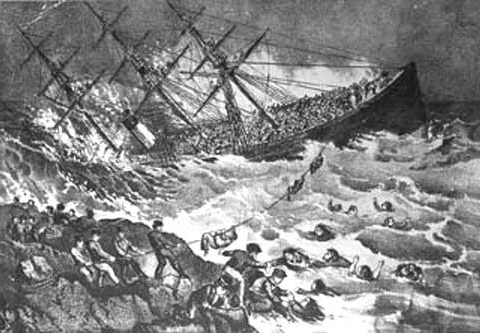 The Dragon Explosion, Hudson Hosiery, Pine Lake history), will recount the tragic sinking of the SS Atlantic near Halifax in 1873. Martin will recount this tragedy, and his search to know more about relatives of those who perished on board. *This is was previously presented at the January 8 2007 meeting. Please join us for this dramatic story!